Facebook has made its ‘Find Wi-Fi’ generally available to Android and iOS devices globally. The social media giant had launched Wi-Fi everywhere in a handful of countries, with the aim to increase connectivity in low reception areas. The company states that it found the service not only helpful for people who are traveling or on-the-go, but especially useful in areas where cellular data is scarce. 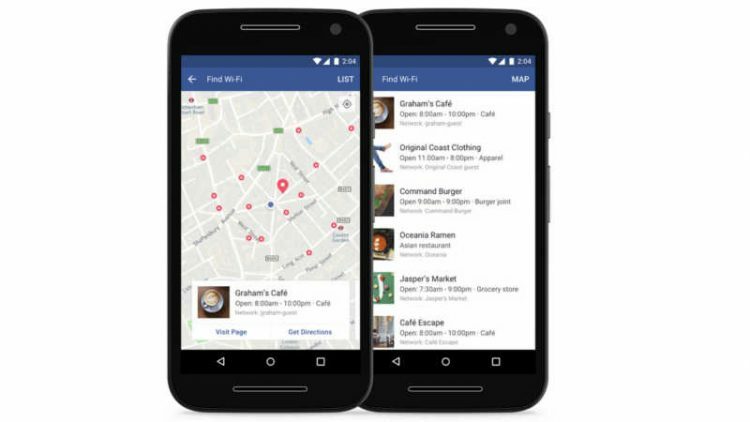 Introduced as a feature in devices, find Wi-Fi will help locate available Wi-Fi hot spots nearby, which businesses have shared with Facebook from their Page. This will help travellers, customers and the general public map the closest connections when the data connection is weak. However this would only work for companies that have listed their businesses with the social media company and claim to offer a fee Wi-Fi connection on their Facebook page. The social media player started experimenting with Wi-Fi Everywhere in 2016 in select countries available only on iOS devices. This test encompassed bringing to light free public Wi-Fi networks nearby. According to a few media reports, the tool can also be used to search for local businesses, listed with the social media site. This would help the social media company operate in the same space as Google Maps, as people can tap Facebook to search for businesses/ restaurants/ coffee shops with Wi-Fi and not Google Maps. To find Wi-Fi hotspots, users can open their app, click on the “More” tab and then “Find Wi-Fi.” Once in the “Find Wi-Fi” tab the user can turn it on to browse the closest available hotspots on a map, and learn more about the businesses hosting them.